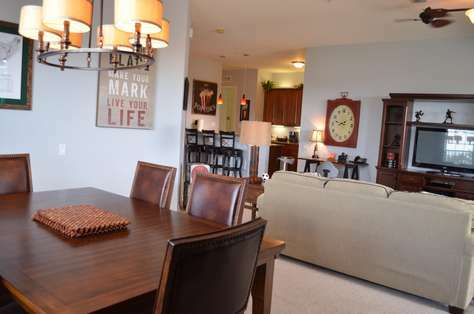 You will just love this upscale 3 bedroom, 2 bathroom penthouse! 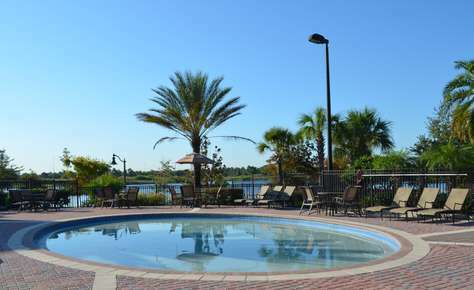 The comfort and luxury of this property makes it the ideal setting to enjoy a fantastic stay in Orlando. The condo was absolutely spectacular. Everything we could possible need during our stay was there. And it was very clean with excellent "sports" theme decor. 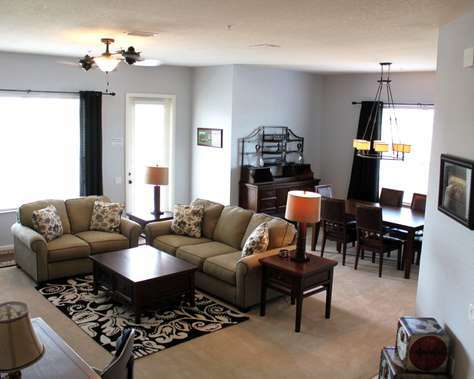 This condo could easily accommodate three couples and several children. 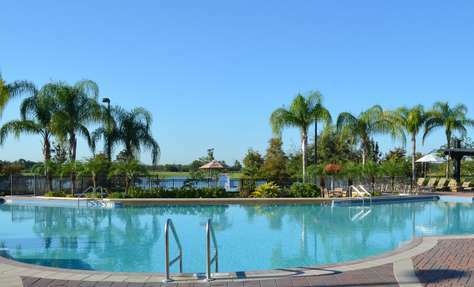 It's conveniently located in a very quiet area near the convention center and central to all the area Disney and Universal parks. The welcome package was an unexpected plus and much appreciated! Thank you Ana! Could not be more pleased about staying at this condo. Beds were comfortable, condo itself was super clean with upgraded furniture, lots of extras; kleenex, beach towels, umbrellas, cleaning supplies, and instructions for TV remotes which is always helpful. No question .... it was the best condo we have stayed at so far at Vista Cay. No reason to not stay here and we will again. We enjoyed our stay here so much that we returned. The buildings are large with an elevator. 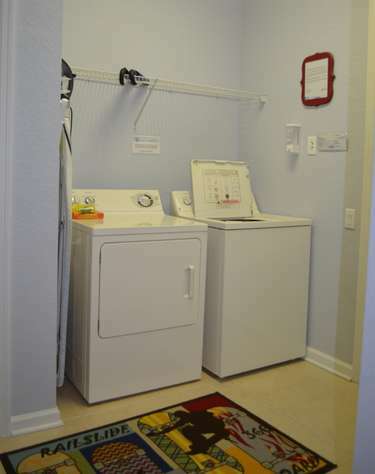 It is very clean, includes all bed linens & towels. Again we enjoyed our stay. This condo exceeded all our expectations. It was in an excellent location, we were visiting SeaWorld and Discovery Cove. It was spotless and provided everything we needed for our 4 day getaway. I would highly recommend this condo to anyone and hope to come back one day! Condo is amazing, absolutely no complaints. I wouldn't hesitate to stay here again. Lots of room, I like that it is away from the hustle and bustle of International Drive. Thank you! We really enjoyed this condo. It was so easy to book and checking in was prefect...you literally find your unit and enter the code. I appreciated all the information that Ana provided. She is fantastic. The condo itself had more than enough room for my family of 4 and my parents who joined us. The unit came with more than enough towels and the bedding was great and comfortable. The grounds and the pool area were also very nice. There is also a bar area located at the pool, which was nice at the end of a long day spent at the parks. The location of the condo was terrific. It was so nice being away from the traffic surrounding Disney while being less than 5 minutes away from all the restaurants and bars down international drive. We were also amazed at how very close it was to the Aquatica water park and Universal. I'm certain we will be staying here again. Thank you!!! From initial communication with the property managers to heading back to the airport to return home, this rental experience could not have been easier! And the accommodations were perfect. 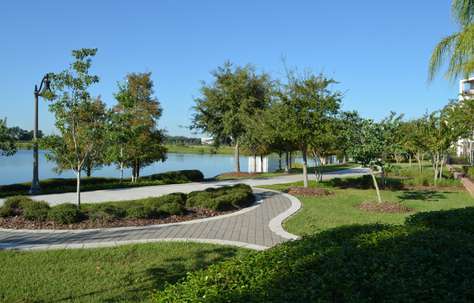 The unit is nicely located between various tourist parks, and very close to many great restaurants. The on-site amenities were also spectacular. And the unit itself was clean, comfortable, spacious, and had everything we needed and more. The ease of getting in and out of the unit, particularly upon first arrival, was quite nice. The property managers were very helpful (and prompt!) with all inquiries we had prior to our trip. I would highly recommend this rental to anyone looking to vacation in the area! I'm a super busy mother of 2. I'm completely OCD about my kid's surroundings i.e. dirt and overall nastiness. I could not have been more happy with this Vista Cay unit. The building itself was cool, clean and quiet. The elevators were always available and clean. The unit itself was ABSOLUTELY STUNNING! It was clean, beautifully decorated, well stocked and so quiet! We were able to go straight to our unit with the codes provided to us prior to our visit. When we arrived, ITZ Properties had so graciously provided us with Capri Suns, Coke, Sprite and a bottle of wine. There was a box of snacks, dishwashing liquid, toilet paper, trash bags, paper towels, etc. Wonderfully stocked. There was also wi-fi, washer and dryer, cable and space for 4 adults and 2 kids without ever tripping over each other. I could not have been more pleased. I cannot wait to book through ITZ Properties again!! Thanks so much for ensuring that we had an AMAZING vacation!! 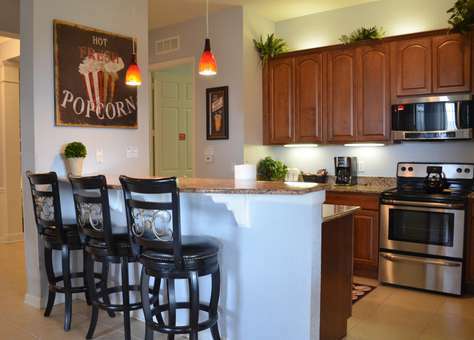 This condo was absolutely perfect for our family of four. We arrived late in the evening to find a basket of snacks and a bottle of wine; both much needed after a very long drive with 2 children all the way from St. Louis! The kids, age 5 and 13, had plenty of space to hang out or play and we never felt cramped like we do in hotels. My teenager said he wouldn't mind living there for good! Our family has stayed in many luxury hotels in exotic places like Saigon and Dubai and this is our favorite condo by far. I would normally say that the sports theme is not my taste, but it's done in a very chic style that's classy and comfortable. We had EVERYTHING we needed for our entire four day stay. I made one quick trip to Publix, which is very close, to get food and snacks and we were set. The condo already had plenty of towels, toilet paper, paper towels, dish soap, books (even for my 5 year old), movies, etc. 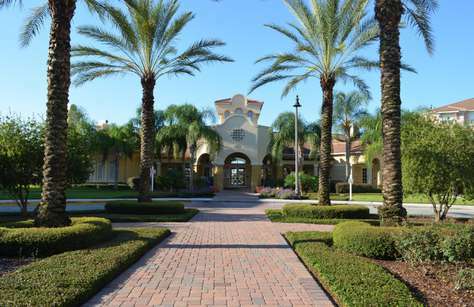 If you are planning on going to Discovery Cove, Sea World, or Aquatica this condo's location is perfect; seriously less than 5 minutes drive. 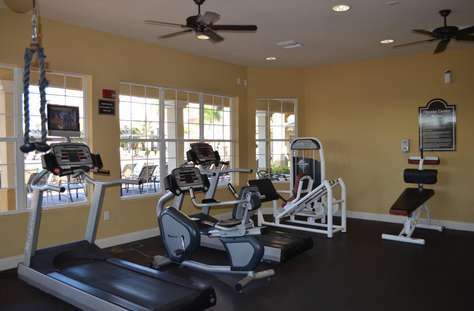 We spent most of our time at those parks so we didn't get to check out the fitness center or pool. NYPD pizza, next to Publix is awesome! If we ever go back to Orlando, we will most definitely stay here! From our first contact with the property managers until the prompt refund of our deposit, everything about this property exceeded our expectations! We have rented a lot of properties and this one rates among the best. The rental process was quick and easy. The ability to go directly to the property and access it with our private code for the door made day 1 so nice. 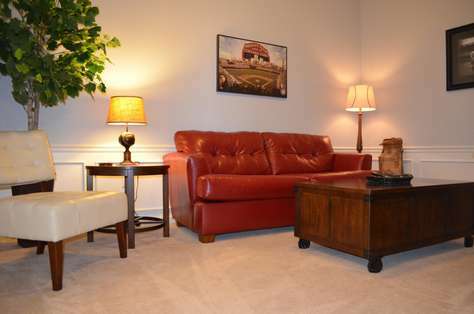 The unit itself is wonderfully decorated, very comfortable, and everything was in top shape. The welcome basket and personal note on the counter was very welcoming! The pool on the property was an easy walk from the unit and very nice. 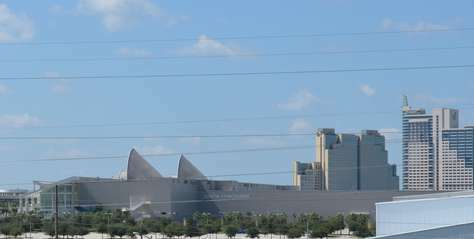 AND, the close distance to Universal Studios and SeaWorld made our days so much easier since we could get to the parks very quickly and avoided the heavy traffic and tolls. 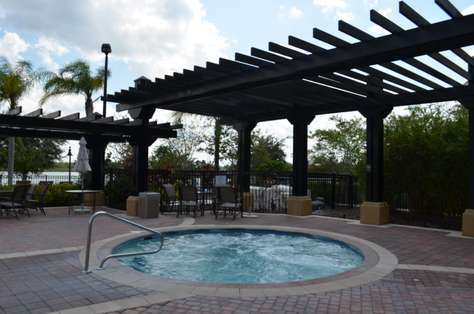 We will definitely plan to use this unit on any future trips to Orlando! Thank You ITZ Vacations! The on-line pictures do not do this property justice! 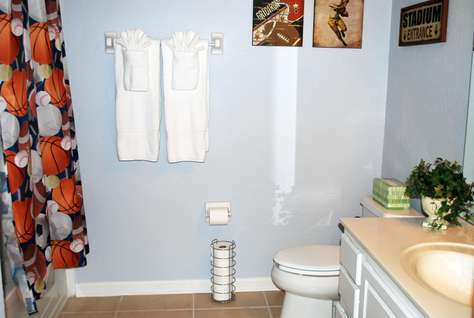 Extremely neat and clean, and well decorated! Only 15 minutes to Universal and 20 minutes to the Disney Parks. Look no further for a better place to spend your vacation! The pool was very nice but we ran out of time to enjoy it! Felt like we were in the lap of luxury! We couldn't have been happier with our stay. From the welcome basket of goodies to the comfortable beds. This was my family's first stay at a resort, but hopefully will not be our last. 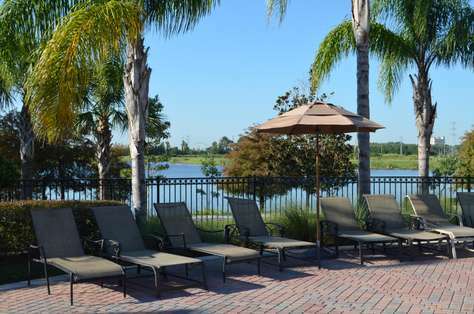 I will always stay in Vista Cay when visiting Orlando. There were 6 of us and we couldn't have been more comfortable. I just can't say enough good things about this property. We loved it!!! Fue un fin de semana encantador donde toda la familia disfruto. No nos falto nada y todo estaba limpio. Tremenda localizacion y ni se siga de la pisina bien limpia. Se lo recomiendo a cualquier familia que quiera pasar una estadia en tranquilidad y sin tener que preocuparse de nada. We stayed at this beautifully decorated, immaculately clean, well-maintained condo for a week while attending a convention in Orlando. The unit way exceeded our expectations. We arrived to a clean unit with a basket of goodies, some drinks in the fridge and a handwritten note wishing us a nice vacation. The beds were very comfortable, had 100% cotton sheets that were very comfortable. The bathrooms were spotless and they even provided shampoo/conditioner/lotion like in a upscale hotel. The management company was really great - thank you Ana and Csilla. They even provided all essentials that you will need to start with (and some enough for the entire stay). There were paper towels in the kitchen, a NEW sponge, dishwasher pellets, dishsoap, laundry detergent, plenty of clean towels, even had towels for the pool and pool toys. There were DVDs, games, Wii and games, books.... my kids (8,6,3) were very happy with the selection. The kitchen was well stocked with plates/silverware/pots and pans. The dining room was great to have. The pool was an easy walk away. The unit was close to everything... Walgreens and Publix very close by. It was very conveniently located to the Convention center...you can even walk to the South Concourse and the Hilton (about 15 minutes). I would stay here again anytime we are in Orlando. I would definitely recommend this unit. The condo was MUCH larger than we had anticipated so I was spacious for us and our adult children. 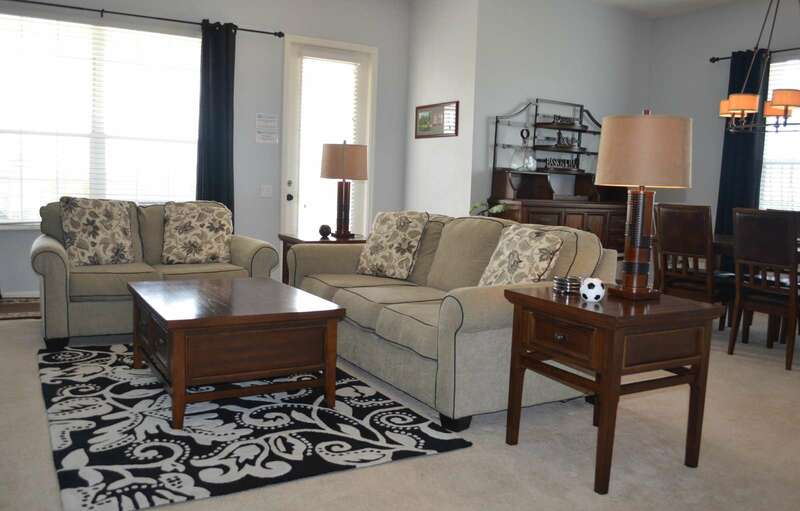 It was clean, comfortable and had everything that the property description outlined. The pool area and other amenities were very nice, clean and only took 3 minutes to walk over to the clubhouse area. The week that we were there, the 'love bugs' were in season and flying everywhere - alloying but we bought some bug spray and covered ourselves and immediate area which helped a bit. Very helpful to show up and find snacks, beverages and a welcome note with instructions for our stay. Another helpful moment to find the basic soap, plasticware, trashbags, etc. which made a trip to the store not immediately necessary. Thanks for a great vacation! This unit is beautiful and extremely clean. We had everything we needed to make our stay comfortable. The complex is secure and well maintained. The location was great, close to the airport, shops, restaurants and major highways. The Property Managers made the entire process easy, from the booking to the checkout. On top of that we were welcomed with a nice basket and note. We are definitely coming back and would refer the unit and company to anyone who would like to have a beautiful and safe place to stay. Whenever you book something online, you're never really sure of what you're going to get. 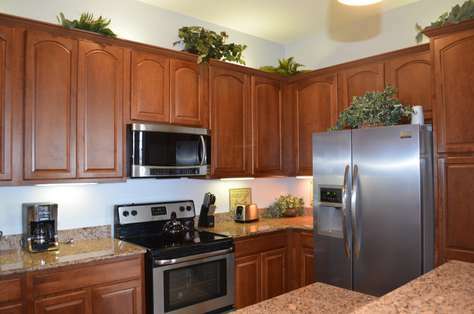 This condo exceeded my expectations, it was clean and well maintained. The property managers, Ana and Csilla, were absolutely delightful. They even left us a basket with goodies, which was great especially since we arrived late that night. I would definitely recommend staying here!!! ITZ’s Response: Thank you so much for the kind words. It was so wonderful to have you as guest and we await your return!